hd00:18Close up shot of beautiful daffodils on flowerbed. 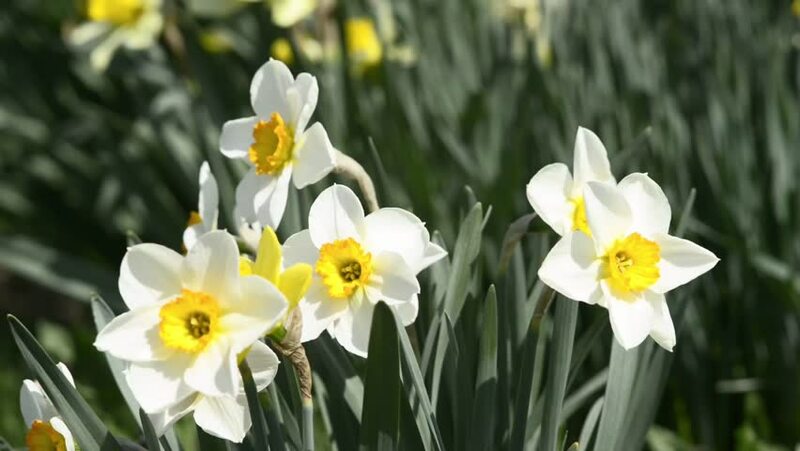 hd00:29Yellow and white daffodil (Narcissus) flowers on a lovely spring day. hd00:12White daffodils. Spring booming flowers with morning light in the garden.